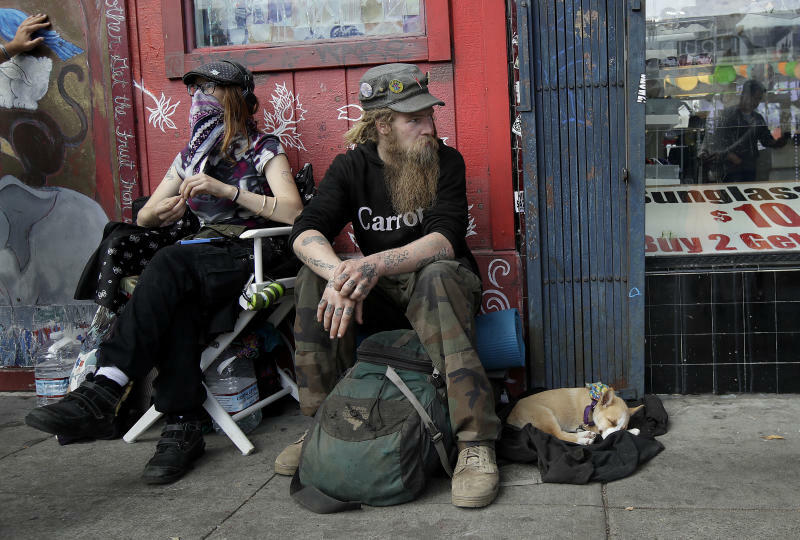 SAN FRANCISCO (AP) — San Francisco has come to be known around the world as a place for aggressive panhandling, open-air drug use and sprawling tent camps, the dirt and despair all the more remarkable for the city's immense wealth. Some streets are so filthy that officials launched a special "poop patrol." A young tech worker created "Snapcrap" — an app to report the filth. Morning commuters walk briskly past homeless people huddled against subway walls. In the city's squalid downtown area, the frail and sick shuffle along in wheelchairs or stumble around, sometimes half-clothed. The situation has become so dire that a coalition of activists collected enough signatures to put a measure on the city's Nov. 6 ballot that would tax hundreds of San Francisco's wealthiest companies to help thousands of homeless and mentally ill residents, an effort that failed earlier this year in Seattle. Proposition C would raise $300 million a year, nearly doubling what the city already spends to combat homelessness. "This is the worst it's ever been," says Marc Benioff, founder of cloud-computing giant Salesforce and a fourth-generation San Franciscan, who is supporting the measure even though his company would pay an additional $10 million a year if it passes. "Nobody should have to live like this. They don't need to live like this. We can get this under control." "We have to do it. 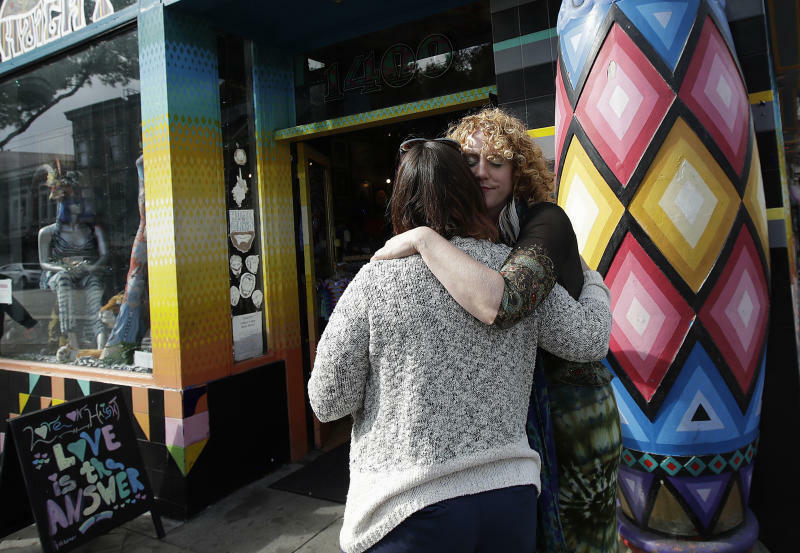 We have to try something," said Sunshine Powers, who owns a tie-dye boutique, Love on Haight, in the city's historic Haight-Ashbury neighborhood. "If my community is bad, nobody is going to want to come here." The proposition is the latest battle between big business and social services advocates who demand that corporate America pay to solve inequities exacerbated by its success. In San Francisco, it's also become an intriguing fight between recently elected Mayor London Breed, who is siding with the city's Chamber of Commerce in urging a no vote, and philanthropist Benioff, whose company is San Francisco's largest private employer with 8,400 workers. "I have to make decisions with my head, not just my heart," Breed said. "I do not believe doubling what we spend on homelessness without new accountability, when we don't even spend what we have now efficiently, is good government." The San Francisco measure is different in that it would levy the tax mostly by revenue rather than by number of employees — an average half-percent tax increase on companies' revenue above $50 million each year. It was also put on the ballot by citizens, not elected officials. "Anyone can take a look at the status quo and understand it's not working, but more money alone is not the sole answer," says Jess Montejano, spokesman for the "No on C" campaign. Benioff has pledged at least $2 million from company and personal resources for the November tax campaign. He said he was ultimately swayed by a report from the city's chief economist, which found the measure would likely reduce homelessness while resulting in a net loss of 900 jobs at most, or 0.1 percent of all jobs. 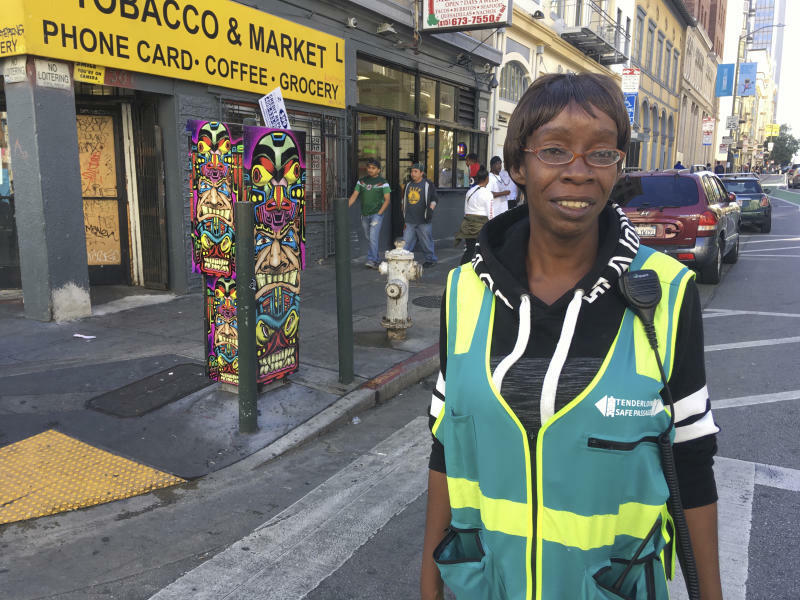 "I said, 'Well, I'm the largest employer in the city, and the city is in decline from homelessness and cleanliness. We have to take action now,' " he said. "I have to shield her from people that are using drugs," she said. "I have to shield her from people who might be fighting." Hanging out on Haight, the street that played a central role in the "Summer of Love," Stormy Nichole Day, 22, says she would love a place to live. Currently, Day is sleeping in a doorway. She could thrive if her basic needs were met, she said. "And that includes a house, and a place to cook food and a place to take a shower."